1994 was a very special year for me, because I started it engaged to the love of my life, and ended it on our honeymoon. She married an unemployed bum, because I had left my job at Andersen Consulting and was taking much of December off before starting my new one at the Chicago Stock Exchange. We were still living downtown and saving loads of money for that first house. Here is what was going on in hard rock and metal that year. 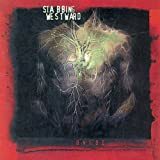 Stabbing Westward: Ungod - This was Stabbing Westward's debut album, and although they aren't strictly metal, they've earned a spot on this list. I thought Stabbing Westward had entered my consciousness with Wither Blister Burn & Peel (1996), but of course I recognized Control when it played. This is a good disc, but I recommend keeping the razor blades out of reach while listening to it. Pretty standard for Stabbing Westward, I guess. 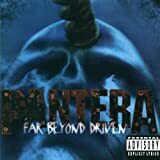 Pantera: Far Beyond Driven - Every Pantera album is heavier than the last. In this one, the vocals start bordering on the growling that I find so annoying in "modern" heavy metal. These kids and their growling heavy metal singers, have they no respect!? It's still a groovy sound, and I happily added it to my playlist rotation, but I have to say I liked Vulgar Display of Power quite a lot more. Korn: Korn - One word: Issues. 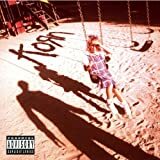 Korn's blend of heavily distorted guitar, pounding base, and lyrics that alternate between sing-song and rage-growl paint a picture of a deeply distorted main character. Whether this is a self-portrait, therapy-rock style, or a Pink Floyd-like fictional character is largely immaterial. It's impossible to listen to this album, especially with the lyrics in front of you, and not feel sympathy mixed with revulsion for the pro(?)tagonist. 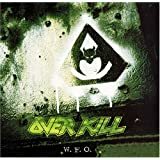 Overkill : W.F.O. - I know so little about Overkill, since they were unknown to me until I started this project. But their music never fails to get me headbanging. There is a secret track at the end with a little practice material where they play a couple of snippets from Dio's Heaven and Hell and Judas Priest's Ripper, which is fun and cool stuff. Why they insisted on sticking 90 tracks of 1-second silence in front of it is a mystery. Korn did the same thing. Must have been all the rage in 1994 or something, but it's very annoying. Danzig: 4p - This CD was delayed because it was shipping all the way from the UK, so I had written the above two paragraphs about Korn and Overkill making the annoying decision to include a bunch of silent tracks at the end before a hidden track. Then this album arrived, and lo and behold, 53 empty tracks between track 12 and the hidden track 66 (Invocation). I remember having a CD player back then that would physically adjust the heads every time it switched tracks. I can only imagine what these discs would have done to it, if I had played them over and over.